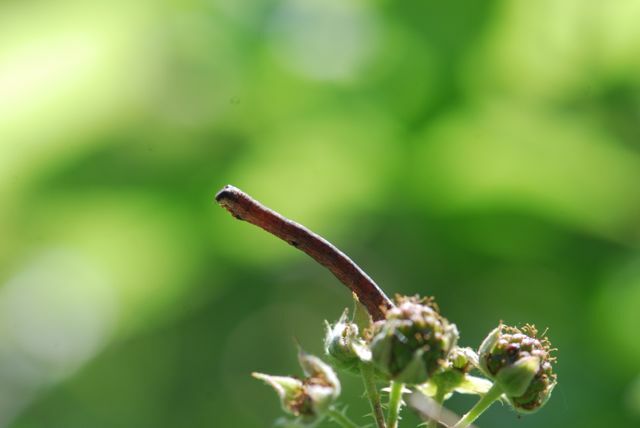 Was it a twig or insect sitting on a black raspberry plant in our last Bug of the Week post? It was hard to tell, but this is a photograph of a looper or inchworm caterpillar (family Geometridae). 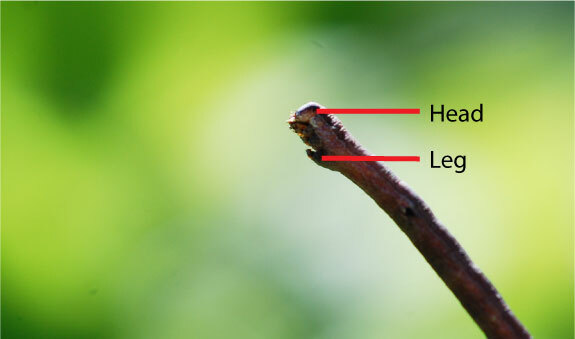 In fact, because so many caterpillars in this family resemble twigs they are commonly called "stick caterpillars." When I approached, the caterpillar was moving in the typical looping fashion across the plant. I startled it when I stopped to take its photograph, and the caterpillar rose up and straightened. It held this position for as long as I watched it, which was several minutes. If I hadn't seen the caterpillar moving prior to taking this stance, I probably wouldn't have even noticed it. National Moth Week is coming up in the end of next month, July 23-31, 2016. See if there are any National Moth Week events in your country or state.